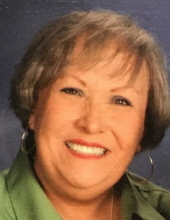 Rita Kay Crenshaw, age 69, of Paducah, KY passed away on Monday, April 08, 2019 at Parkview Nursing and Rehabilitation Center. Rita was a 1968 graduate of Paducah Tighlman High School. She retired after a 30 year career with South Central Bell Telephone Company then went on to have a second career of 16 years with Robert Alexander Auction Company. She was a member of Bell South Telephone Pioneers, Daughters of the Nile, Eastern Star Ester #5, and was a Rainbow lady with the Masonic Lodge. She was a faithful member of Heartland Church. Mrs. Crenshaw is survived by her husband, Ronnie Crenshaw; her mother, Birdell Grindstaff Alexander; two daughters, Cindy Carter and Ginger Henson and husband, Jeffrey Broxsie, both of Paducah; one stepson, Kevin Crenshaw of Port Charlotte, Florida; two sisters, Linda Page and husband, Kenneth, of Gallatin, Tennessee and Trudy James and husband, Roger, of Clarksville, Tennessee; one brother, Robert Alexander and wife, Jeanne, of Paducah; two grandchildren, Jacob Feltener and Khloe Broxsie; and one great-granddaughter, Olivia Peterson; her long time friend, Liz Dillon; and several aunts, nephews, nieces, and cousins. She will be remembered as someone would do anything for anyone else and who was always smiling, hence her high school nickname “Smiley.” She was a caregiver who took care of everyone else, even at the sacrifice of herself. She was preceded in death by her father, Malon Alexander. Funeral services will be held at 10:00 am on Thursday, April 11, 2019 at Milner & Orr Funeral Home of Paducah with Rev. Nathan Joyce and Rev. Don Young officiating. Burial will follow at Woodlawn Memorial Gardens. Visitation will be held from 5:00 pm until 8:00 pm on Wednesday, April 10, 2019 at Milner & Orr Funeral Home of Paducah.